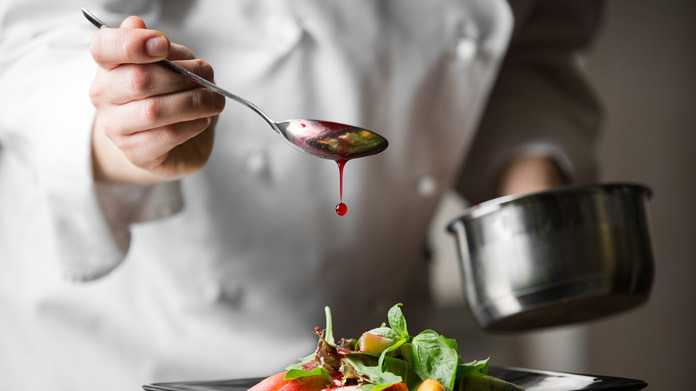 Our guide on starting a restaurant supply business covers all the essential information to help you decide if this business is a good match for you. Learn about the day-to-day activities of a restaurant supply business owner, the typical target market, growth potential, startup costs, legal considerations, and more! What happens during a typical day at a restaurant supply business? A restaurant supply store team handles a number of activities from day to day. Inventory must be closely watched to ensure your customers have the supplies they need, when they need them. Since the restaurant industry fluctuates seasonally, inventory should be closely monitored to meet these oscillating demands. To ensure your customers gain access to quality products regularly, the shelves must be stocked and inventory should be rotated on a daily basis. Additionally, relationships with distributors must be fostered, ensuring your clients have access to the very best product, at the very best price. Since customer service is of the utmost importance, you and your staff should be on the floor, ringing up customer orders and meeting any direct questions and/or concerns. As part of your customer service strategy, your team should also consistently remain abreast of the latest food, libation, and equipment trends, passing this knowledge on to customers whenever relevant. Developing and maintaining a quality marketing strategy is also critical to your business’ success, as this ensures you consistently reach both current and prospective customers. Your target market is limited to those within the culinary community. This includes: restaurant owners/managers, culinary schools, cafeterias (both medical and schools), bars, caterers, bakeries, and coffee shops. 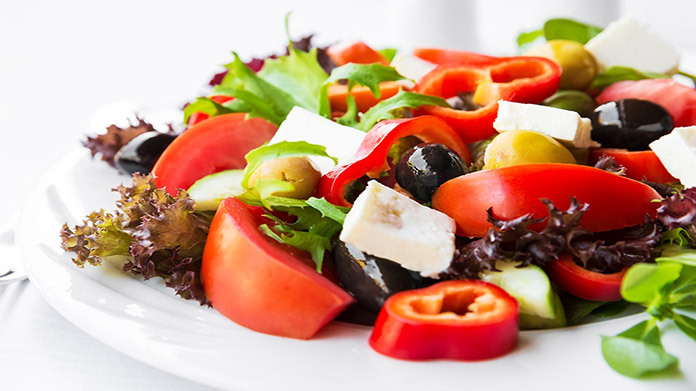 Since food is perishable, many of your clients will visit you several days per week, if not every day. How does a restaurant supply business make money? This type of business generates money through the sale of each item. Some supply companies choose to focus solely on kitchen equipment, while others focus on the sale of food and drink. The largest suppliers offer a combination of both. What is the growth potential for a restaurant supply business? While it is challenging to find long-term success in the restaurant industry, there will always be a great number of customers to cater to in the restaurant supply business. Provided you deliver consistent, quality products, there is the potential for significant growth, with many opening franchises across the country. The key to getting started and expanding quickly is to identify areas that have a direct need and furnishing those needs affordably. What are some skills and experiences that will help you build a successful restaurant supply business? The key to long-term success in this industry is remaining abreast of the current trends. This includes everything from cooking techniques, to equipment and food trends. As the owner of a restaurant supply store, your goal should be to consistently learn and grow, encouraging others in related industries to do the same. Additionally, your role as the owner will require you to build and nurture relationships with both suppliers and the individuals with buying power at your local food establishments. This requires a personable demeanor and a deep understanding of their dynamic needs. Joining your state’s restaurant association is an effective way to develop relationships on a local level. Membership with the National Restaurant Association is an effective way to get involved on a larger scale. What are the costs involved in opening a restaurant supply business? When mapping out your business plan, consider the inventory you wish to carry and define your target audience. What is the community currently lacking? What do they have an immediate need for? This will assist you in determining your budget. 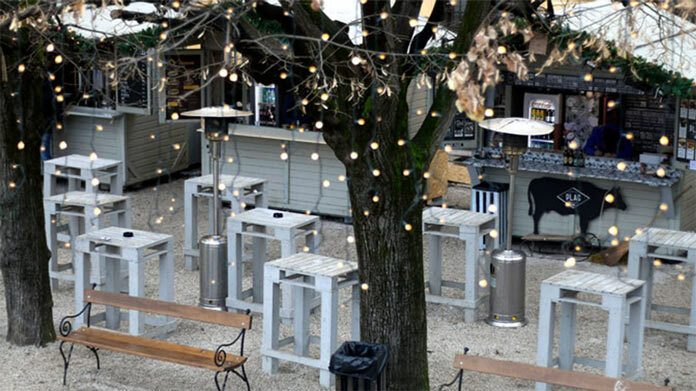 Space - Make sure your store’s location is conveniently located for restaurant owners. There should be ample parking and enough space for customers to get in and out with very little hassle. Inventory - Conduct as much research as possible to ensure you do not invest in items your customers do not need. Your stock will grow and vary, as time goes on and you gain a better understanding of your regular clients’ needs. Point of Sale Software - This will help you track and manage inventory, ring up orders, and identify trends. Cash registers - Make sure you have multiple open lanes, so that customers aren’t waiting at the check-out area. If you wish to open a large establishment, much like Restaurant Depot, you will need a large warehouse, of approximately 15,000 square feet. Fixtures alone can cost upwards of $400,000. Entrepreneurs just starting out are urged to start small, expanding their business as they get to know the needs of restaurant owners in the area. This will minimize start-up costs and help ensure long-term success. The price to purchase an already established business averages approximately $1.4 million. What are the steps to start a restaurant supply business? Form a legal entity. Establishing a legal business entity prevents you from being personally liable if your restaurant supply business is sued. Open a business bank account. A dedicated checking account for your restaurant supply business keeps your finances organized and makes your business appear more professional to your customers. What are some insider tips for jump starting a restaurant supply business? Prior to opening your doors, start the process of building relationships with those in the community that could most use your service. By doing so, they will remember you when a need arises. Additionally, make sure your shop’s policies are clearly defined and posted for everyone to see. When developing a marketing strategy, consider how you can directly appeal to those you are trying to reach. Advertisements in newsletters and magazines geared towards those in the food industry is an effective place to start. Those realizing the greatest success aren’t afraid to pound the pavement, visiting businesses within the community that you wish to cater to. An informative website with a strong social media presence is also a great way to expand your reach, potentially selling some of your products online. Since the bulk of your business will be on a local level, delivering strong customer service should be an integral part of your customer retention strategy. If your business delivers quality products, with a friendly staff and short wait times, word of mouth will spread and your reputation within the community will blossom. Managing this type of establishment requires a team of employees prior to opening day. Make sure you have ample staff, qualified to stock shelves, run the cash registers, and assist customers with any questions or concerns they might have. Once the store is firmly established, you will want to consider hiring a store manager, as well as a marketing team and accounting specialist. 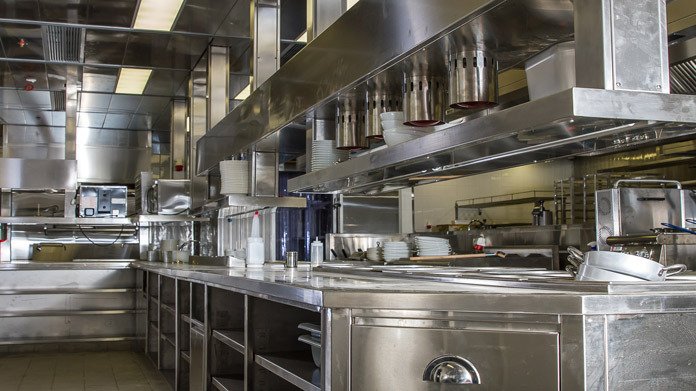 Certain state permits and licenses may be needed to operate a restaurant supply business. Learn more about licensing requirements in your state by visiting SBA’s reference to state licenses and permits. A restaurant supply business is generally run out of a storefront. Businesses operating out of a physical location typically require a Certificate of Occupancy (CO). A CO confirms that all building codes, zoning laws and government regulations have been met. Before leasing, confirm that your landlord has or can obtain a valid CO that is applicable to a restaurant supply business. Review all building codes and zoning requirements for your business’ location to ensure your restaurant supply business will be in compliance and able to obtain a CO.
Prices vary, depending upon the item and your initial investment. What are the ongoing expenses for a restaurant supply business? There are a number of ongoing expenses you should budget for each month. These include: lease payment, facility and equipment maintenance, utilities, and marketing. Your two largest expenses will be payroll and inventory, which will fluctuate, based on you and your clients’ immediate needs. It’s important to remember that payroll costs go beyond paying each employee an hourly wage. Workman’s Comp, benefits packages, and taxes should also be factored in. How much profit can a restaurant supply business make? Realizing a significant profit the first year can be a challenge for any business. With proper research and a well thought-out business plan, your restaurant supply business has the potential to earn up to $55,000 in profit the first year. Depending upon your region’s needs, many restaurant suppliers earn six to seven figures in profit after their third anniversary. Many restaurant supply companies choose to carve out their niche in one area. Those who realize significant short and long-term success are able to identify and meet the local restaurant owner’s needs. 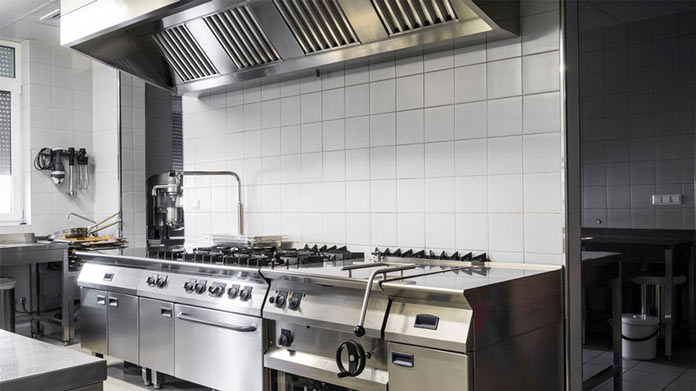 Expand your goods and services to include: equipment installation and/or repair and kitchen design, restaurant furniture, and even cooking classes. A delivery service is also a great way to attract new customers and increase your organization’s profit margins.